Home /Team /Research fellows /Ulf Philipp Müller, M.Eng. After the highschool graduation in 2006 in the city of Braunschweig and a voluntary community service in Panamá Ulf Philipp Müller studied Energy- and Environmental Management (Industrial Engineering) at the university of applied science and the universtiy of Flensburg. The Bachelor in Flensburg was enriched by studying one semester in Granada, Spain leading to additional economic and intercultural knowledge. In the following internship at the company Juwi Solar GmbH in the department of International System Design he could learn how to project big PV-parks. His Bachelor-Thesis on behalf of the Juwi Solar GmbH was about "Temperature-dependent voltage extremes in photovoltaic systems". 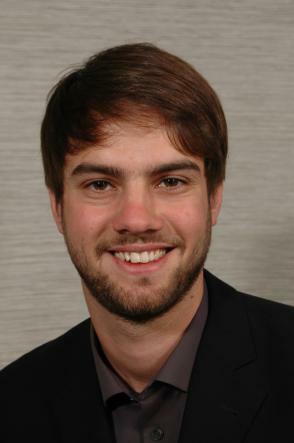 While studying the Master programme he managed together with two fellow students to develop a business plan in the context of a start-up scholarship by the Innovation Foundation of Schleswig-Holstein concerning the economic projecting of small wind turbines and decentralized smart grids. In his Master-Thesis he evaluated for the E.ON Hanse AG to what extent it is technically posible and econimally feasible to systematically change the rated voltage levels in the medium-voltage grid of the Schleswig-Holstein Netz AG. Since May 2013 he works at the university of applied sciences as an research assistant in the field of Energy and Environmental Management at the institute of Energy and Biotechnology. His focus is the sustainable and reliable power supply. Therefore he particularly works on the suitable system integration of renewable energy.